64 Audio stunned the industry by simultaneously releasing two new flagships, equipped with new technology – as well as an according price tag. 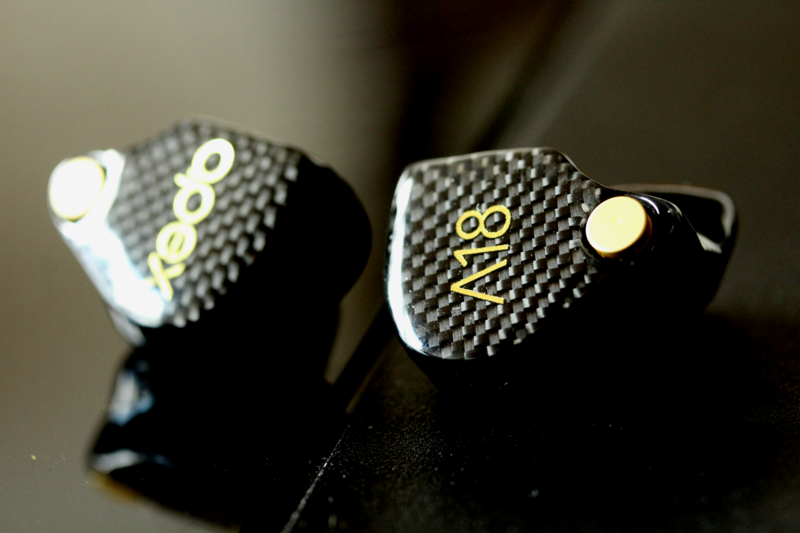 18 drivers in a single earphone was received with some skepticism, but the A18 has proven quite a thrill. Its TIA driver pushes its extension to new heights, and its performance along with it. But that doesn’t mean anything without a stimulating signature to match. The A18 comes stock with a twisted 4-wire silver-plated copper cable. Normally not my favorite type of wire as SPC tends to provide a more clinical sound, with an artificial focus on clarity. But this isn’t the case with 64 Audio’s custom-made cable, as it provides a somewhat uncharacteristically warmer than neutral tone. When paired with other iems there seems to be a slight veil over its midrange, but the pairing works excellently to tame the A18’s treble energy – maybe because of it. As such, the cable pairs well with the A18’s lifted upper treble, finding the exact right balance between a stimulating sound, while keeping it smooth. In addition, the cable seems to play a role in maintaining the A18’s wide stage. I wouldn’t necessarily say it adds width; however, switching to other, more expensive cables often attenuates its width, although they might add more depth. Taken together, the SPC forms an excellent pairing with the A18, and I rate it among the best in the lineup; together with that of the Samba and Maestro V2. The A18 is the reference iem, that isn’t. It might have been given the label by its makers, but it has too much energy to be confined to a strictly reference role. For in its heart, it’s youthful and playful. In a rebellious act, it seems to have broken free from the serious role it was intended to have. The A18 sounds vigorous, the A18 sounds alive. Due to its lower treble tuning, it’s stimulating, and sparkly. And it’s hyper-detailed, without sounding bright. Well, there is a slight brightness in its treble; but it’s a well-dosed brightness. It manages to reveal the finest detail in an exciting way, while simultaneously, remaining smooth. Its treble extension is impressive, bringing the A18’s resolution among the elite, and even above. Its tonality is fairly neutral, and leans somewhat towards a reference-oriented signature. But the origins of the A18’s beauty lies in its upper midrange and treble tuning: the lifted treble not only provides an abundance of sparkle, but gives the upper midrange an exciting tone – the A18 is the one to go to for melodies, or screeching electric guitars. And it certainly isn’t bass light – especially with the M20 module. This is a bass that reaches deep enough, while its mid-bass provides more impact than any neutral role would require – the energy from down low. The A18’s presentation is engaging; due to a forward stage positioning, it brings the front row close to the listener. And in line with its lifted upper treble, the A18 creates an especially airy stage. But the aspect that jumps out most is its width: this stage is wide. This is easily one of the widest stages on the market, even though it isn’t particularly tall, or deep. Accordingly, the A18 creates a somewhat flat, but stretched out image – one that seemingly reaches to the horizon. And placing instruments along the extremities creates an abundance of space. But the layering encompassing its vocals can get a bit tight, as the stage isn’t overly deep. The vocal is positioned towards the rear of the stage, and the A18 tends to place instruments before, rather than behind it. Accordingly, the organization of the central space could be a bit neater, when placed under the highest scrutiny. But considering its air and especially width, its separation is well above average.